Custom Written Social Problems Research Papers on Active Substance Abusers. Active substance abusers can be categorized as individuals that participate in the consumption of illegal or legal substances on a consistent basis for mood altering or thought altering purposes. 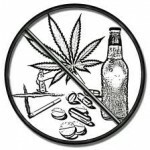 Substance abuse can be both chemical and alcohol substance abuse. Research studies have concluded that there are certain characteristics of active substance abusers. These characteristics include chronic problems at work or school, negative or adverse changes in appearance, changes in behavior or attitude, and physical health issues such as weight loss or inactivity. Research studies have also concluded that there are certain populations that are more susceptible to active substance abuse. These populations include individuals with parents or family members that suffer from substance abuse, individuals of lower socio-economic status, and individuals that suffer from some form of mental illness. Substance abuse and mental disorders often go hand and hand. Several different treatment methods have proven to be effective in rehabilitating through substance abuse counseling. One treatment method that has proven to be effective in treating active substance abusers is medical treatments like anti-depressants or methadone. A second treatment method that has proven to be effective is group counseling and therapy based on substance abuse counseling. Finally, cognitive behavioral therapy has proven to be an effective treatment method in active substance abusers. This treatment can occur on a one-on-one basis, in a group setting, or a combination of the two approaches. When writing a research paper on active substance abuse, you can choose to do you paper on any of the Active Substance Abusers listed below while following the outline below. You can write your active substance abuse paper about a current or recent client who is an active substance abuser or someone who is in early recovery OR a paper on an alcoholic or drug family system, including the impact of the addicted person’s illness on each person in the family. You also have the option of doing a paper on a so-called co-dependent person and his or her role in the family of origin as well as in the chosen family. You may do a paper on a group of substance abusers that you are leading or co- leading. -If you do not have access to any of thesis examples of clients to write about, choose a character from literature who is depicted as a substance abuser. Your work in this case will be to hypothesize the points in relation to the outline set forth below for ALL options. Provide identifying information for you and your clients. Provide information describing the context in which you are working as well as what your role consists of. Describe the presenting problem(s) of your client(s). This section to detail the drug(s) of abuse involved as well as at least 1 or 2 other problems. Provide a history of the presenting problem(s). Describe the client(s) current living and work situation. Present what you know about the client(s) family of origin. Present what you know about the client(s) chosen family. Describe how you have been working with your client(s). If a group, focus more on the process of content. Be sure to include at least 1 or 2 of the theoretical approaches. Give specific examples of how at least 2 of your interventions were guided by the theoretical approaches. How successful do you think your interventions were ; how could you have executed your interventions in a better way? Describe your countertransference to your client(s). Did any of your reactions to your client provide an insight into the person’s feelings or behavior? If so, how? If your countertransference was primarily negative and has remained so, how did you handle this? What goals have been set for your client(s)? What objectives (actions or steps) have you used to accomplish these goals. In what stage of the Stages of Change did you find your clients(s) in upon beginning working with them. How did you approach accomplishing the process(es) of change necessary (according to this approach) with this client(s). What would you have done differently, if you had more knowledge (of substance abusers before starting this paper) before working with your client(s)? Paper Masters writes custom research papers on Active Substance Abuser and looks at a sample order placed for an assignment on a recovering substance abuser or someone who is currently a substance abuser.